I love learning! It keeps me doing what I do. I play saxophone, ice hockey (which is full of learning!) and video games that tend to include dinosaurs. Vue is a "progressive framework for building user interfaces." Its core library is designed to be fast and flexible and is only focused on the view layer. In this course, you'll gain a basic understanding on how to construct components and nested components and see how Vue reactively keeps the DOM up to date when data is changed. 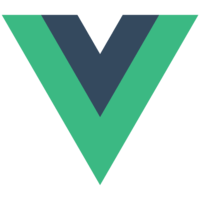 You should get a taste of what Vue has to offer and gain a better understanding of how you can use it for your own application development.